Could setting goals have the opposite of the desired effect? In a performance management system goals are set to align an individual to the organisation’s strategy and to stretch their performance. Sounds great so far. But is it possible that people achieving their goals could have a negative effect on the organisation. It turns out this is a very real possibility. Read on to find out about the law of unintended consequences and a simple tool for avoiding it in relation to performance goals. The law of unintended consequences says that intervening in a complex system can have an outcome that was not intended. That outcome could be positive or negative. 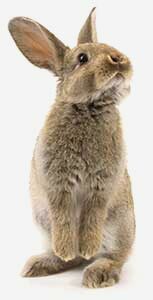 Wikipedia gives the example of the introduction of the rabbit into Australia. Originally introduced with the First Fleet in 1788, most likely with the goal of providing food, they have gone on to become a pest that causes millions of dollars of damage to crops. Organisations are complex systems as are many roles. This means the possibility of an unintended outcome is real. In fact the role doesn’t even need to be complex. By incentivising a person to do one thing, they may do it to the exclusion of other important activities. Consider these goals and their potential unintended consequences. Reduce processing errors to 1 in every 200 forms. Processing errors are reduced, but productivity suffers considerably due to the time needed to reduce errors. Increase new subscribers by 10% New subscribers are increased at the expense of existing subscribers. Increase revenue by $1 million The cost of increasing revenue means profit margins are reduced. Complete new account application requests in an average of under 20 minutes. New account applications are completed in under 20 minutes at the expense of processing errors. Develop all new software features within estimated timeframes. New features are developed within estimated timeframes but are full of bugs. This looks like a big problem doesn’t it? Especially considering how pervasive goals are within organisational performance management processes. The good news is there’s some simple solutions to reduce the likelihood of an unintended consequence. Of course nothing is guaranteed, but avoiding goals altogether for fear of an unintended consequence would just lead to stagnation and spinning wheels. In addition to this simple solution, it is important to consider the potential negative consequences, on top of the positive outcomes for each goal. Let’s take a look at how this works in the real world using the previous examples. Reduce processing errors to 1 in every 200 forms. Reduce processing errors to 1 in every 200 forms while maintaining an average processing time of 2 minutes. Increase new subscribers by 10% Increase total subscriptions to $100 million. Increase revenue by $1 million Increase profit by 5%. Complete new account application requests in an average of under 20 minutes. Complete new account application requests without errors in an average of under 20 minutes. Develop all new software features within estimated timeframes. Develop all new software features within estimated timeframes and reduce bug reports to 1 in every 20 features. Two goals in the above table require further explanation because it isn’t immediately obvious how they were balanced using the simple rule provided. Rather than being a quality problem with the new subscribers, the act of increasing the subscribers may reduce the quality of service to existing subscribers who may then leave. The goal was re-written as “Increase total subscriptions to $100 million”. This addresses both of the potential quality problems above. It prevents the person with the goal from obtaining new subscribers at the expense of existing ones. This is because in most circumstances it would be exceedingly difficult (except when starting from a subscriber base of zero) to increase total subscriptions without retaining existing subscribers. The new goal also address the value of subscribers. Increasing the number of subscribers may provide very little benefit if they are all low value. Whereas increasing the total value of all subscribers has a definite benefit. The second goal in the table above that requires explanation is “Increase revenue by $1 million”. This is a quantity based goal that needs to be balanced with a quality measure. There’s only one potential quality problem with this goal. That is the quality of the revenue. How could revenue be low quality, surely all money earned is good? Not if the revenue was exceedingly costly to generate. If you make one dollar and it costs you one dollar to earn it, that’s extremely poor quality revenue. Profit takes into account the cost to generate the revenue and is therefore a better quality goal. Apart from balancing individual goals, other strategies can be used. For example in addition to setting goals, competency and behavioural standards can also be defined for an organisation or role. This enables the manager to define not only what they want a person to achieve (goals) but how they should go about it (behaviours). Instead of training people to write SMART goals, train them to write B-SMART goals. Using an online system can make goal setting easier for managers and team members. Being able to copy from a library of goals is quicker than having to write them from scratch. It improves quality by providing pre-written examples. Using a library is also one of the ways in which organisations can ensure everyone’s goals are aligned to the strategic plan. If you want to try out an online system, sign-up for a free trial. What Is Balanced Scorecard Employee Performance Management? Balanced Scorecard in Performance Management is an approach to aligning employees to a company’s strategic plan.